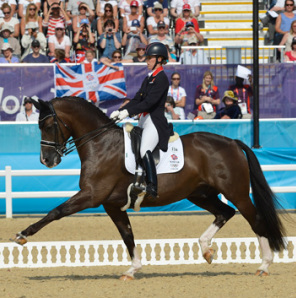 In the beginning stages of Dressage competition, a horse and rider are evaluated at the Introductory Level which requires the horse and rider to perform a series of movements transitioning at the walk and trot. 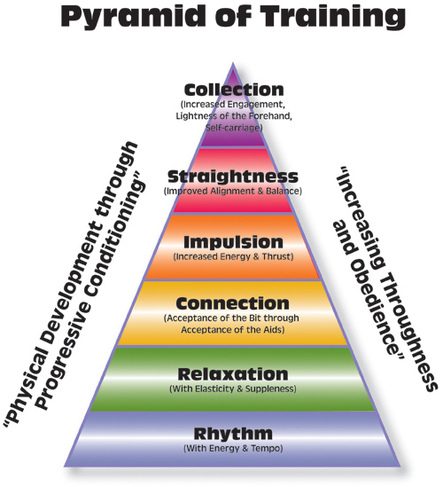 From here, horse and rider progress to the Training Level, and then First Level, Second Level, Third Level and Fourth Level. Upon successful completion of the lower levels, the horse and rider are ready to perform at the FEI (Federation Equestrian International) levels of dressage consisting of Prix St. Georges, Intermediare I, Intermediare II, and finally the highest and Olympic level Grand Prix. Western Dressage is defined as training and developing the Western rider and horse to improve themselves as individuals and as partners through the use and discipline of Dressage. 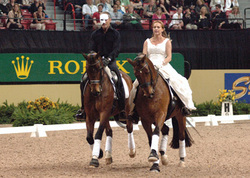 A Western Dressage horse is encouraged to work and school on lighter contact than the typical dressage horses. While both want to see balance, cadence and carriage, the Western Dressage horse will be evaluated with the conformation and movement of today’s western horses in mind. 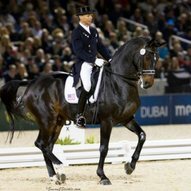 A Western Dressage horse will have a shorter stride than a Dressage horse and the Western Dressage horse will be asked to walk, jog and lope as opposed to walk, trot and canter. As of 2013, there are Western Dressage tests offered by the Western Dressage Association of America and recognized by the United States Equestrian Federation.